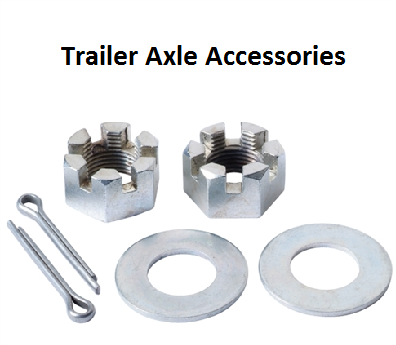 Trailer Axle Accessories from Ark Corporation has a range of different parts and accessories available for your trailer. This includes all Nuts, Washers and Split Pins, Axle Pads, U-bolts and Fish Plates, which all have the choice to be in black or galvanished and come in different sizes. All parts available online and delivered to your door.